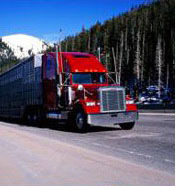 New York shippers are offered the most cost effective way to move freight. The discount freight shipping rates are provided to the customer along with great customer service. We search all of the carriers and find the best possible rate and then offer you a way to save more. The paperwork for your shipment is provided to you and we track you shipment from start to finish. If your New York shipment is point of origin or a destination point we are ready to save you money. All requests for discount freight shipping quotes are welcome. Our dedication to our customer is second to none. Old Glory Freight respects your privacy and does not share your personal info with anyone. CLICK ON THE APPROPRIATE LINK BELOW OR GIVE US A CALL AT 888-351-3653 TO GET YOUR FREE FREIGHT QUOTE TODAY! !